As we enter 2013, how is Canada doing? How do we stack up against other rich countries? Emerging from the year of the 50th anniversary of medicare, the 30th anniversary of the Charter, are we making progress? Do we even have any shared notion of what progress would look like? How we measure our success as a country matters. It tells us a lot about what we value most. It shapes what we ask of our politicians and how we judge the performance of our governments. It shapes politics and policy. Very often international comparisons of how well a country is doing rely on GDP and this has been the go-to measure in Canada as well. GDP measures the total value of the goods and services produced by a country and is the best way to track the size and growth of the economy. On this basis, in a world shaken by U.S. debt, European fragility and the emergence of new economic super-powers, we have been doing pretty well. Of course GDP is important and especially to developing countries trying to lift their populations out of poverty. But it is a lousy measure of the health and welfare of a country such as ours. As countries get richer, growth brings diminishing returns; other things become more important. Our focus on GDP in media and politics reflects what has been for several decades now a preoccupation with economic growth, a preoccupation that helps explain the tiresome whining of some of our opinion leaders about how badly we were lagging the US even while we were doing pretty well on other counts. It probably also explains the equally irritating self-righteousness when we now lecture our allies on how they should manage their economies. But GDP tells us nothing about how the benefits of growth are shared or about the costs of growth to the environment, our community and even future economic prospects. It tells us nothing about those values that sit outside the market – the quality of our political and social commons, and our relationships to one another and to nature. International agencies and a number of countries are developing indices that take into account equality, sustainability, democracy, and trust, as well as economic performance. In Canada Roy Romanow has proposed just such an index, and recently David Suzuki added his voice to the campaign to think beyond GDP – promoting a measure of General National Happiness with a central place for the health of the environment which enables all else. These are welcome initiatives because they ask us to consider what is important, what our future ought to look like. To this work I would propose the addition of another measure, which despite its long pedigree is too easily overlooked. Gandhi and Pope John Paul II, Aristotle and Rawls, and artists through the ages have all reminded us that the real test of any society is how we treat the weakest among us, those who have the least. Here too, with glaring exceptions, none more shameful than our relationship with Aboriginal Peoples, we have done pretty well. For example, we have historically been above average on measures of equality, well ahead of the U.S. We were seen as proof that diversity and equality could coexist, that empathy and sharing could bridge differences in language, culture, lifestyle. We came to see immigration as a solution, not a problem and to be open to refugees. Even in our relationship with Aboriginal Peoples, this government’s historic apology for some of the most grievous wrongs could have been a signal of a new, more respectful relationship (especially needed after the abandonment of the Kelowna Accord). Churchill gave particular attention to how well a country treats its prisoners, what he described as a measure of a society’s stored-up goodwill; and here too we managed to be fairly balanced. As for our global responsibilities, Canada led in getting rich countries to commit 0.7 per cent of GDP to aid and while we never came close to that level (others have), we did, about a decade ago, double our aid budget, with no less than half going to Africa, and took other steps that offered at least some prospect for narrowing the gap. How do we stack up today? On many fronts pretty well: we have much to be grateful for. But how about for those who have least? 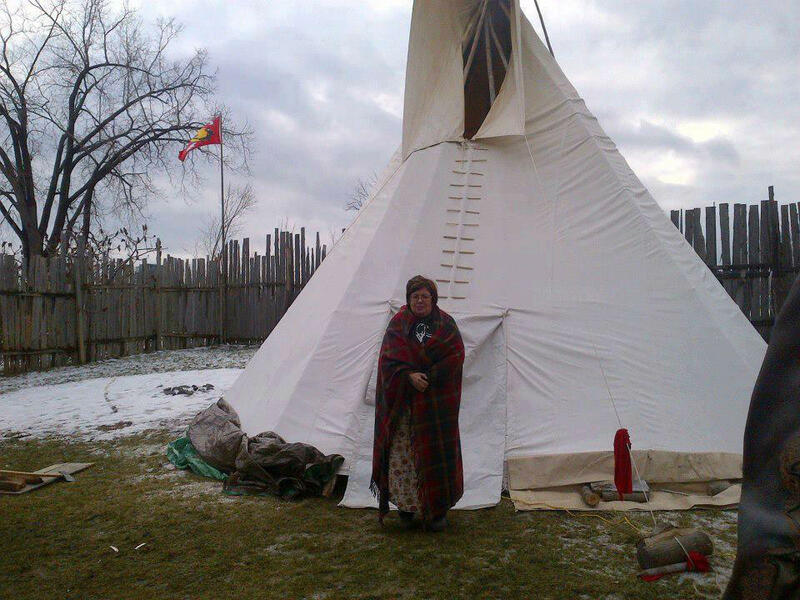 Attawapiskat Chief Theresa Spence’s hunger strike has drawn attention again to the suffering of her community, part of a growing movement, Idle No More, which got its impetus from the omnibus budget that weakened environmental protections without consultation with Aboriginal communities. The movement has spread across and beyond Canada, an expression of outrage at these decisions, at inaction on injustice. A few doctors and other health providers have also been leading protests against recent changes to refugee regulations, changes that mean more, including children, are subject to automatic detention and the separation of families, some may be denied essential medical help, and some will be subject to automatic deportation without appeal. We are also increasingly relying on migrant workers who are not only paid less than domestic workers but are now denied basic benefits that they pay for through EI premiums. As for unemployed Canadians – too many of whom are young, often indebted graduates – cuts over the last 15 years have meant fewer are eligible for EI benefits or training. Recent changes have made eligibility even more exclusive, requiring the unemployed to accept any work, even at wages of 70 per cent of the job they lost. Access is now at an all-time low forcing many to go on welfare. With all the growth of our economy, too many Canadians, many who do have jobs, live in poverty or are just scraping by. We are nowhere near meeting our longstanding commitment to eliminate child poverty. Thousands have also protested the government’s punitive crime agenda, which, while politically popular, marks a sharp departure for Canada, at a time when crime rates are going down. The evidence is overwhelming that such tough-on-crime policies don’t work, that they make us less safe, result in prison overcrowding and inattention to rehabilitation, turn jails into “asylums” for the mentally ill, and contribute to the creation of an underclass permanently excluded from opportunity. Internationally, apart from freezing aid, our parliament recently said no to a bill promising cheap drugs to poor countries, choosing, as Stephen Lewis put it, patents over people. And when U.N. envoys criticize us, we are outraged, turning against the critics rather than asking how we might do better. These changes cannot be justified on the basis of fiscal prudence. Where there are savings, they are miniscule. Increased incarceration and detention will create considerable costs. While we all recognize the need for efficient administration, these changes put the burden on, thereby doubly victimizing, the weakest among us. They reflect an indifference to those with less or, even worse, a view of people in need as shirkers and slackers. What all this yields is a meaner Canada. When governing is all short-term economic growth, damn the consequences, then aboriginal rights and environmental protections become inconveniences to be ignored or managed. Refugees, the unemployed, and the poor come to be seen and treated as freeloaders, a drag on the economy, rather than fellow citizens, often victims of an increasingly mean version of capitalism. And criminals are demonized, convenient scapegoats for our fears and discontents, the most heinous offences and frightening offenders used to blind us to the reality that those are people in our prisons, most of whose lives could be repaired. Our leaders try to convince us that the health of the so-called job creators is more important than that of the weakest among us. And, it seems, many of the richest and most powerful come to believe this and act on that basis, what some have called “trickle down meanness,” one of the consequences of rising inequality, particularly when growth disproportionately benefits a small group of super-rich able effectively to secede from society and its mutual obligations. On measures of equality, we are slipping to the bottom relative to other rich countries. We ought to measure up to the best. An obsession with short-term growth, with money, may well blind us to the things that really matter, to the possibility that there is some common good important enough that we might modify or even sacrifice our private interests. The debate brewing about how to measure success is not just about measurement. It is a recognition that we need to participate in a real discussion about what we mean by the good life, the purpose of the economy, the kind of Canada we want. It is about decency and dignity. It is about our political and democratic institutions, the need to find much better ways to ensure that all voices, particularly those speaking for the marginalized, are heard. This may be the only way to restore a sense of the common good and win back the many who have given up on politics, party and government. How cool. I just tweeted your excellent piece on the middle class. Alex, your comments on the need to redefine economic growth (aka GDP) need to be pursued in broader policy circles (albeit the GDP measurement issue has come on and off the radar for the past few decades). On the Idle No More movement, unfortunately it will likely fade as did the Occupy movement. Such is the reality of a society and media with very limited attention spans. Thanks Jim. On the well-being index/GDP debate, you are right that this is not new but important – and more and more voices are now joining in, including Nobel Prize winning economists such as Joseph Stiglitz. I am less pessimistic – I think of Occupy, the student mo event launched in Montreal, Idle No More, and various more specific expressions of discontent as part of a much larger movement that may wax and wane but seems also to be growing intensity, the spaces between them declining, and its not going away. Thanks again for your comments. I have a lot of time for Stiglitz. Likewise. He wrote a preface for the rerelease of Polanyi’s Great Transformation that is worth the read. He also chaired a committee for Sarkozy before he lost the last election on how to measure well-being. Very thought provoking, and a reflection of the need for some national introspection and long-term wholistic vision. Thank you Greg. Of course politics is always about winning but I have always believed that at its best politics is also about how to define the common good. Meanness is a kinder descriptor than that which I have been using, hatefulness. I wish I knew where to start to turn it around. I know. Talking about it, naming it, seem like meager responses. Lois, how lovely to hear from you. Happy New Year. At least this was in The Star. Another thoughtful and timely piece, Alex. Like you I remain hopeful that the various expressions of discontent during the recent past will come closer together. There are certainly overlapping concerns. At the same time, all of us need to do a better job in turning around the argument which says, “if I don’t have it, you shouldn’t have it.” Rather than improving the lives of those now disadvantaged, this takes us in the wrong direction. Unfortunately this orientation it has a lot of currency these days, not only in conservative poltical circles. All the best in the new year, Alex. All the best to you Larry and thank you. Yes progressives need to offer a clear and credible alternative and to do so with conviction. We seem unable to find leaders who are willing to roll up their sleeves and do the really hard work of making peace with one another – starting with our First Nations. What can everyday citizens do, Mr. Himelfarb, to make that better Canada – one where equity and justice are seen and felt – a reality? I think about that all the time. I don’t have a great answer Anne but I think it depends somewhat on our talents and interests. All change needs poets, engineers and warriors. One can join a party, a movement, an NGO, write, discuss, and at least vote – but in any case each of us can take responsibility to live our values in both public and private. Given how pressed most working folk are for time sometimes we have to find small ways to get and stay engaged. @ Anne and Alex: It’s time that Canadians self-empower themselves to control their destiny. A new poll was quite dis-spiriting in reporting how a substantial chunk of Canadians are willing to accept King Harper’s rule given the absent of opposition leadership, and that 2016 will likely produce another Harper government. I recall the comment from a former economist colleague (during my Employment & Immigration Canada days). She was a Turkish immigrant who said to me one day:”Jim, you Canadians are too passive. You need to protest more.” Indeed. Almost all important change gets its impetus from outside normal political processes. Its impetus yes, but it must find a hand inside the process that’s willing to grab on when change reaches in. Needs a partnership. I don’t agree that Canadians are more passive than their general condition warrants. For all the meanness and hatefulness and out-of-date UN human index scores there might be, Canadians are as faithful to their constitutional aspiration of peace and order as our good neighbours are to theirs of liberty and the pursuit of happiness. Is it suggested we should sidle in their direction to solve our problems? And I suspect Turkish immigrants are arriving with a somewhat different historical perspective of what constitutes reasonable protest. On your first point, yes. As to whether we are too passive, I don’t know. I suppose ones answer depends on just what we perceive the conditions to be, whether we think things are pretty fine or in decline. I have difficulty thinking of the people running our country as “leaders”. I think of them more as governors or overlords. Their genius so far has been to convince enough people to think really small, not past the end of their wallets, while covertly and sometimes overtly dismantling the institutions of democracy. How do we change the minds of those who are good people but who have bought into the “I’m alright, Jack” and “nothing will happen in my lifetime” worldview? How do we convince them that they are part of a larger community and that we all sink or swim together? Thanks Maggie. You have asked THE question. The conservatives invested heavily in developing and disseminating their message – Think Tanks, media outlets, etc. – over decades. Perhaps the same needs to be done – patiently – for a progressive narrative. Pierre Trudeau said “Reason over passion”. Stephen Harper says “Ideology over reason” (well, he might say that if he had anything to say) . This strange Reform-Conservative coalition of corporate, evangelical and gun lobbyists has twisted Canada into an ugly and, as you say, mean country. I’m not sure if there is any point in attempting to work within the current political structures. Most parties seem to place their loyalties with the corporate class, not the citizen class. I think that the only way that our voices will be heard is when we get out on the streets, rise up on our hind legs and bark, growl, howl and maybe even, occasionally, bite. If they fear us, then they may listen to us. Ian, great to hear from you. Happy New Year. I am glad you’re out there growling, howling, biting – and sharing great videos all of which give hope. Alex, thanks for the insightful pieces. Happy New Year. Thoughtful piece. I was taken aback when some European friends said that Canada has joined the axis of evil! Especially with regard to the environment. Thanks Satya, I fear we spending the goodwill built over decades. 2) We’ve previously discussed the unrepresentativeness of GDP as an index of the health and welfare of a nation, its people, and its values. The foolish response to this would be to turn to another singular index as a replacement. The source of losing our way is only partly a function of the particular singular index chosen, and equally a function of believing that such things can actually be authentically reflected by singular indices. In part, the problem is a loss of the sense of nuance and detail that would normally provoke thoughtfulness. The manner in which the GDP index distracts us is merely a reflection of that misunderstanding. You can’t index a nation with the DOW or TSE. And perhaps the narrow-mindedness of attempting to index a nation’s values and well-being by a singular index is a reflection of the disproportionate role that financial affairs have come to play. They are certainly not UNimportant, but it’s a bit like judging the quality of a marriage by bosom or gonadal size – neither of which assure a happy and fulfilling relationship. 3) “How we treat group ” is also woefully misunderstood by many. In the last few days, I’ve read and heard far too many responses to the Idle No More movement revolve around how much is spent on Aboriginal issues, how much this reserve/band got, what kind of a car this or that band chief drives, etc. That’s a complete misunderstanding of what the phrase is intended to mean and ought to mean. “Treating” implies not how much is spent on any group, whether needlessly or thoughtfully, but rather what place that group’s needs have in our priorities, when making decisions. Imagine a family planning a lengthy summer trip. Perhaps the father, or mother decides what would appeal most to themselves, makes the arrangements, and neglects the interests of everyone else. As family members, they all have to shut up and pile into the van. Along the way dad buys the kids ice cream and comics, just to keep them happy and avoid complaints. They didn’t really want to go along on this trip in the first place, but have no choice. Dad may have spent a lot on them, but were they “treated well”, or not? My point is certainly not to equate indigenous peoples with children, but rather as a party lacking the power of someone else that can dictate circumstances and outcomes. Quite simply, disregarding how many billions of dollars were spent, THEY DIDN’T ASK FOR THIS. The “treatment” of Aboriginal people in Canada can’t simply be a detail to be worried about afterward. 4) I may have referred you to their work before, but Leda Cosmides and John Tooby at U.C Santa Barbara, are a husband-wife team of “evolutionary psychologists”, who have written widely about what they believe to be an evolved human sensitivity to “cheating”, and go so far as to posit neural mechanisms for “cheater detection”. As much of an empiricist as I prefer to be (as opposed to nativist), when you consider how easy it is for elected and other leaders to get people riled up about “cheaters”, Cosmides and Tooby may be onto something. I guess the bg question for me is whether there are circumstances in which sensitivity to cheating is boosted. Do we suspect “cheaters” when we have more and are afraid of losing it? Do we bristle more when we do not understand how others earned what they have, or misunderstand how much they have (or don’t)? Do we rail against “cheaters” more when they are NOT part of our in-group as opposed to members of our in-group? I mention all of this because the “meanness” you refer to often revolves around a hostility based on a perceived inequity of gain-for-effort-expended. “I have to pay taxes for my health care! Why should THEY get it?”. “Look at all the free houses and post-secondary education THEY get for nothing!”. That hostility may simply be exploited by some political quarters for partisan gain, but I suspect sometimes it is a set of beliefs held as sincerely by those leveraging those beliefs as by those being urged on by political messaging. Though I’m disinclined to turn to music to make my point, I’ll make an exception here. Bruce Springsteen’s recent album was led off by a tune titled “We Take Care of Our Own”. On the one hand, it was a declaration of principle, of a sense of obligation, that we don’t leave the weakest in society to fend for themselves, that we mend the world. At the same time, much like a reversing figure (is it a vase or two faces in silhouette? ), the title alludes to a more cynical view that, yes, we take care of people, but ONLY “our own”. It alludes to a false and exclusive kindness (which he obviously does not stand for), and a meanness of spirit. So, do we, as a nation, intend to TAKE CARE of our own, or to take care of OUR OWN? And if the latter, just exactly who ARE “our own”? 5) There will be an exasperation with the Idle No More movement, and partly for some very understanable reasons, I think. I suspect the expectation is that such a movement has specific demands or goals that can be easily targetted or addressed by the PMO,or AANDC. That it is somehow a bit like the hockey lockout, or the Ontario teachers’ labour dispute, that can be “solved” with suitable arbitration. But it’s a bit like expecting the consistently neglected and belittled wife to be placated by roses, dinner and a movie. INM is a response to a fairly entrenched cultural approach to Aboriginal people. And of course, you can’t sit down, work out a desired cultural change, sign off and witness, and then move on. There is a sustained change in the relationship required, and while it involves “stuff”, it isn’t ABOUT “stuff”. In that respect, INM and the Occupy movement share much in common. They both express frustration with the circumstances that have crept up on us over the decades, and become built-in to the fabric of everyday life for those who hold power. Neither have specific demands that can be mechanically responded to in an efficient manner. In that respect, while I certainly support the INM folks, and wish only the best for them, “demonstrations” elicit a set of expectations from others that will not be met. “What is it that they want?” is the more likely response to be evoked. That doesn’t mean they should NOT carry on, just that it will be tough slogging for them. I hope they have the endurance required. Wonderful post Mark. I plan to digest this over time. For now just 2 points: 1) in many respects what I think many within and outside Canada hoped for from the Canadian adventure, the Canadian experiment, was that we could show the world that caring and diversity could coexist – and I think that doesn’t just happen, it is an act of collective will, of defiance, to quote PE Trudeau. We have achieved remarkable success on this front and I would hate to lose it which, I expect, would be easy, especially in these times. 2)I think if Idle No More, Occupy, and the student movement, for example, as each an important expression but ole timely also part of a larger, transformative movement much like Polanyi’s talks about in the Great Transformation. I wouldn’t cut a word. A fantastic and spot on summation of where the country is socially and politically. Beautifully written too. Now that’s the kind of comment you want from your editor. I’m so glad I discovered this blog! Only #23 on Maclean’s list, but it brought me here. This post is an excellent counterpoint to the Maclean’s article. Yes, GDP growth is something every government can crow about, but you are dead-on about its limitations. And some of the other interesting bits in the aforementioned article are illustrative, such as the lobbyists and organizations that have the most influence in Ottawa these days – almost all corporate, the oil industry prominent among them. When the only measure of a nation’s health is economic growth, it’s interesting that the people in control of the economy are the same people in control of the government, and the same who work hardest to shut down criticism of economic activity for the sake of the environment. Isn’t it interesting how people who scoff at environmental groups and activists as being less than serious or impractical are those who benefit (in the short term) from cuts to environmental protection and corporate welfare? Thanks Scott for your generous comment. You are right on about who benefits in the short term and as you say, it is only th short term. In the end we all pay. As for blogs, I am looking forward to your next family vacation. It’s not the people as individuals who have power anymore, it’s the corporations. And we don’t elect them, they dictate to us. But the wars remain the same. Every democracy is some imperfect balance between government by the people and government by the powerful. As you say, the balance has shifted towards the latter. It doesn’t have o be this way. Hey, Alex. Yes, the balance will be imperfect for some time. But it may take a while, or – you never know – the balance could shift in favour of the working people more quickly . And that fact that the new enlightenment is being formulated and nurtured by women is significant. Thanks Ian. I even note a ray of optimism? Yeah Alex, I’m always the optimist. Maybe we can all be optimists and realists at the same time.